At Value Care we are dedicated to finding top quality home health care for people in Palm Beach County at the most affordable rates. Clients can save over 25% or more off average industry prices on home health care when working with Value Care At Home. We will never make you pay for care you do not need. Pay Less, Get More Care! Whether you need around the clock elder care in Palm Beach or just want companionship a couple of times a week, we will find you a compassionate caregiver that fits your schedule. Furthermore, the caregivers we match you with are willing to visit you wherever you need care. 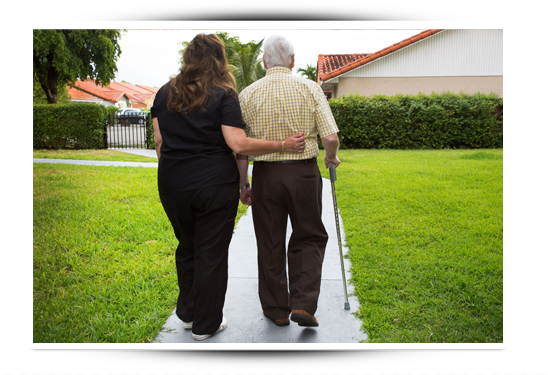 From home visits to providing you with care at independent living facilities and hospitals, they will come to you. When matching you with qualified caregivers in Palm Beach County we take the time to listen to your needs. When you reach out to Value Care we offer a free consultation with one of our Customer Relations Professionals. They will take the time to understand your needs by asking you about your loved one’s hobbies, activities, care needs, and personal schedule. Through our Care Match Program we will then find the most qualified home health care professionals to refer to you. This solution is backed by our FIVE STAR PROMISE and First Day Satisfaction GUARANTEE, so you can rest easy knowing your care is in the best possible hands. We are so confident in our ability to help you find the best care that we guarantee satisfaction on your very first day. We will be in touch after the first visit to make sure you are 100% happy with your choice.